I love music. I love to share music and I love to receive music. I also love to see what other people listen to. You can learn a lot about a person from their iTunes library! I always create a summer playlist. They always include a mix of slow jams, party jams, old jams and maybe even some off the beaten path jams. 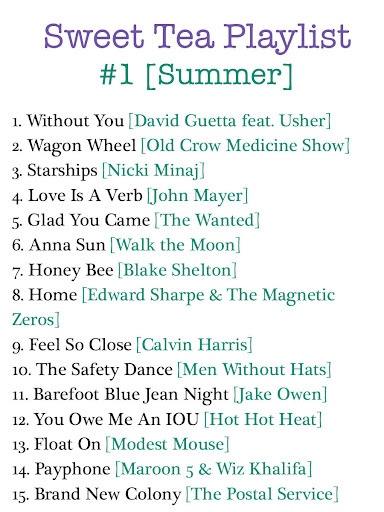 Here’s my (condensed) summer playlist for 2012. ** Payphone is explicit!! I couldn’t find a clean version!